On Grey's Anatomy Season 14 Episode 3, the hospital lost one of its investors, but no one, including his grandson, is shedding any tears. Although, a few tears were shed when Amelia finally revealed to her loved ones that she has a brain tumor. Join Tiffany Staton, Stacy Glanzman, Paul Dailly, and Amanda Steinmetz as they discuss "Go Big or Go Home." Were you shocked to learn about the seriousness of Amelia's brain tumor? Tiffany: I was shocked to hear it's been growing for 10 years! I expected a couple years, but that's a crazy long time. I hope they don't use it as an excuse for all of her behavior though, like the fact that she's been horrible wife to Owen. That can't be forgiven just because she had a tumor. Stacy: I wasn't shocked to learn it was growing for a long time. I wouldn't have guessed 10 years, but definitely at least since she's been on Grey's. Her behavior has always been crazy and annoying to me, but I thought that was just how she was. I'm actually really curious to see how she changes once the tumor is removed. Paul: Not really. The size of the tumor from the scans last week gave away that it was not a new thing to her. Amanda: Yes and no. Even though Amelia's personality was always a little bit off, I never would have guessed the tumor has been growing for that length of time. Her behavior has gotten more erratic over the last few years, so I assumed it wouldn't be as intense. What was your first impression of Amelia's mentor, Tom? Tiffany: I liked how straightforward and no-nonsense he was. Amelia's so headstrong that she needs someone to be tough with her. If it weren't for him, she would probably still be operating! Stacy: I agree with Tiffany. I liked that he was straight with her rather than trying to placate her. Paul: Yeah, he was straight to the point, and that's exactly what Amelia needed. Subconsciously, I think she took that into consideration when reaching out to him. Amanda: Yeah, I liked that he didn't let feelings cloud his judgment like a lot of the other doctors around Amelia tend to do. He was straight to the point and told her she was a danger to patients. Did Meredith make the right call telling Nathan to fight for Megan? Tiffany: Yes! It makes total sense that she would be pissed. If Derek were to magically come back, she would never let him push her away like that. Even if he was upset that she had fallen for someone else, she would fight for them because they had a once in a lifetime love. I don't know if Nathan and Megan had that, but they definitely had something special. To see Nathan casually walk away from such a miraculous opportunity to be with Megan again, when that's all Meredith can dream of, is infuriating. Stacy: Yes she did. Even if Riggs and Meredith end up back together, this whole thing with Megan would have been hanging over their heads. Riggs needs to see if there's still something between him and Megan and if the two of them are even still right for each other. If the answer is no, he and Meredith can be together knowing that was the right choice. Paul: Yes. Meredith is a good person, and she knew that if Derek was the one to come back, she would be making a go of things. 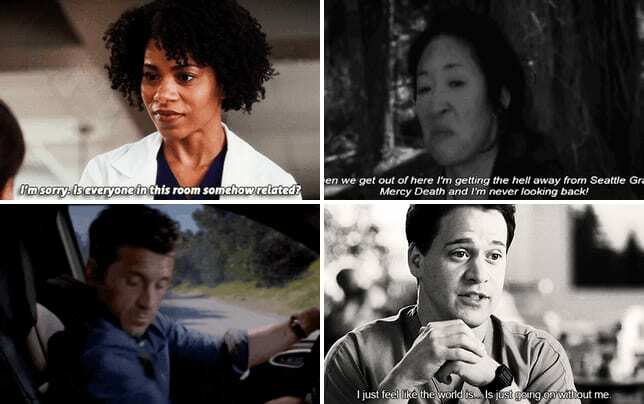 Meredith also probably feels like the other woman ... even though Megan coming back was probably seen as something that would never happen. Amanda: Yes! Like everyone else is saying, Meredith would never let Derek push her away if he suddenly came back from the dead. Riggs owes it to himself to see if he and Megan are still good together. Otherwise, he'll probably always wonder if he made the right call. 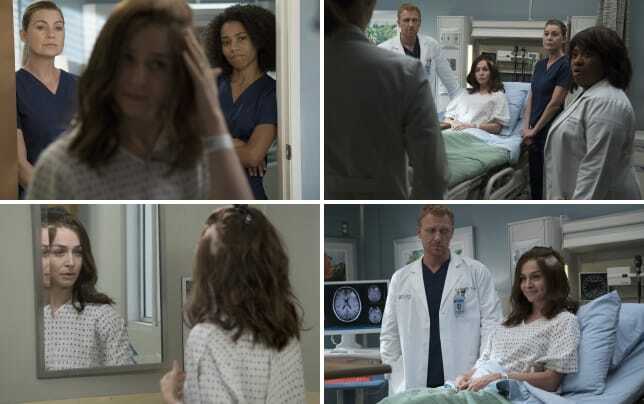 Harper Avery made an unforgettable return to Grey Sloan. React. Tiffany: That was... weird. I didn't understand why he was appearing in the first place, then he fires Bailey and all of a sudden he's dead. What kind of authority does he have over the hospital anyway? All he does is donate money, so he's basically an investor. He shouldn't have the power to fire Bailey. That's the board's decision, right? It was all very random. I would have rather seen Jackson's dad. I expect he'll show up eventually. Stacy: Yeah, I wasn't really a fan of this storyline. It wasn't necessary and mostly just felt like filler. If he had defunded the hospital or if Bailey really was fired, there might have been interesting stories to follow, but he just died, so none of it matters. It's as if the whole thing didn't happen...so why did it? Paul: I liked the comical value it brought. Jackson and Bailey were hilarious, and it's clear the man did not like the way the hospital was being run. Amanda: I really didn't see the point of this storyline. His quick appearance and then quick death just felt weird. 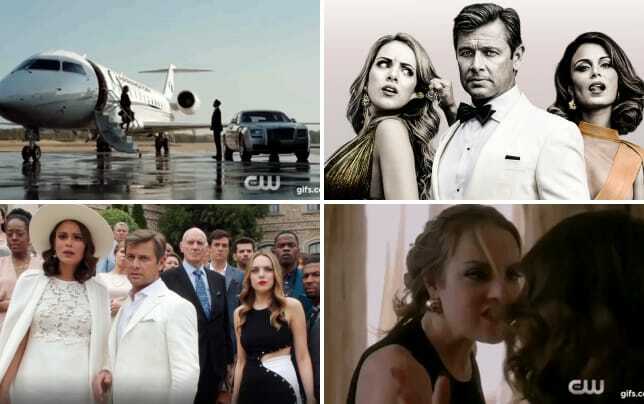 Unless they are setting up a return for Jackson's dad, I honestly don't know why we spent any time watching this. Jo and Alex appear to be back on track, and Jo asked him to move back in with her. Thoughts? Tiffany: They're moving super fast and yet, they don't seem to want anyone to know they're back together (judging by the elevator scene). I'm glad they're together. I just hope moving in together so quickly doesn't put pressure on them or the relationship. They've been back and forth so much, I hope this is it for them. Stacy: Jo hasn't been nearly as obnoxious so far this season, so I hope that continues. I'm actually starting to like them as a couple, and her way of asking him to move back in was pretty cute. I'm hoping it sticks and they get to be happy for awhile, but I figure it's only a matter of time before the ex-husband shows up again. Paul: Surprisingly, I'm on board with this. They are great together, but knowing Matthew Morrison is returning makes me want to vomit a little. Amanda: I always liked them as a couple, so it's good to see them happy again. But, I am not looking forward to the day her ex shows up to cause trouble. Tiffany: I didn't have a favorite quote, but I loved the scenes between Meredith and her therapist, and Maggie and Amelia. Stacy: I have to go with Andrew bringing Maggie in to show her Amelia's scans without actually telling her. That was pretty funny, though bringing her in there with the scans clearly visible still has to be a violation of HIPAA, right? Paul: My favorite scene was Arizona essentially laughing off Carina's claims about inducing the pregnancy. Arizona and Carina are great together, and I've totally forgotten about Eliza. Amanda: I really liked the final shot of Meredith comforting Amelia while the music quietly faded out. 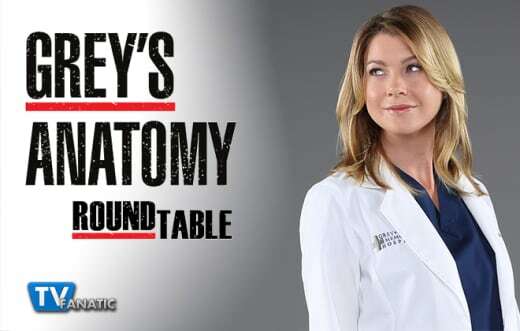 So Grey's Fanatics, do you agree with our round table? Let us know in the comments below. Don't forget you can watch Grey's Anatomy online right here via TV Fanatic.